NEW! Bahco 396-JT Folding Pruning Saw - Japanese Toothing. Bahco folding pruning saw - ideal for occasional use in vineyards and orchards. 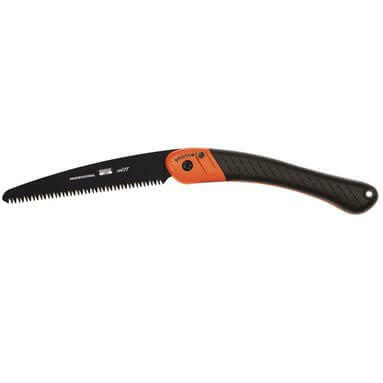 Features Japanese toothing for pruning living wood in winter with a clean and fast cutting experience. Comfortable and strong 2-component handle with excellent grip. Japenese toothing provides fast and clean cutting in soft or green wood. Safety lock in both open and closed positions.